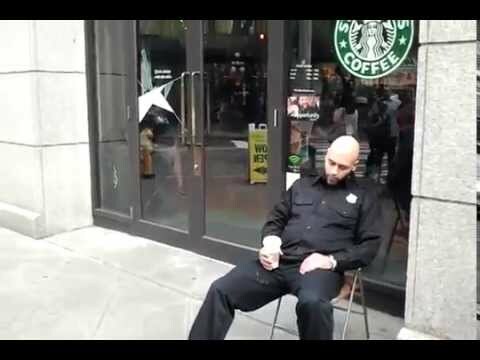 Sleeping while on duty or sleeping on the job refers to falling asleep while on the time clock or equivalent, or else while responsible for performing some active or passive job duty. While in some jobs, this is a minor transgression or not even worthy of sanctioning, in other workplaces, this is considered gross misconduct and may be grounds for disciplinary action, including possible termination of employment. 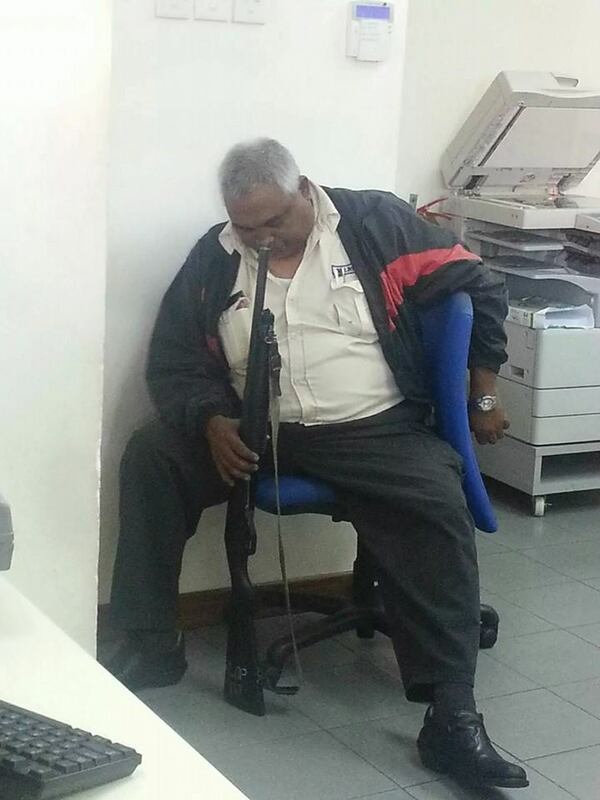 Sleeping while on duty is such an important issue that it is addressed in the employee handbook in some workplaces. 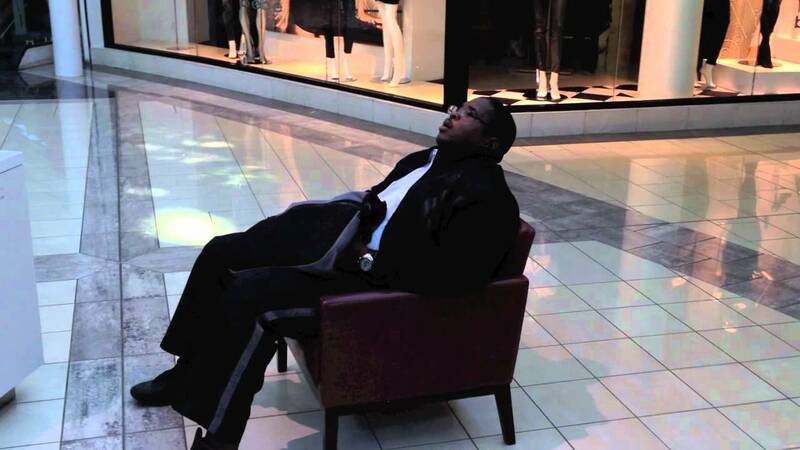 Here we take a look at security guards who have been caught sleeping on the job. 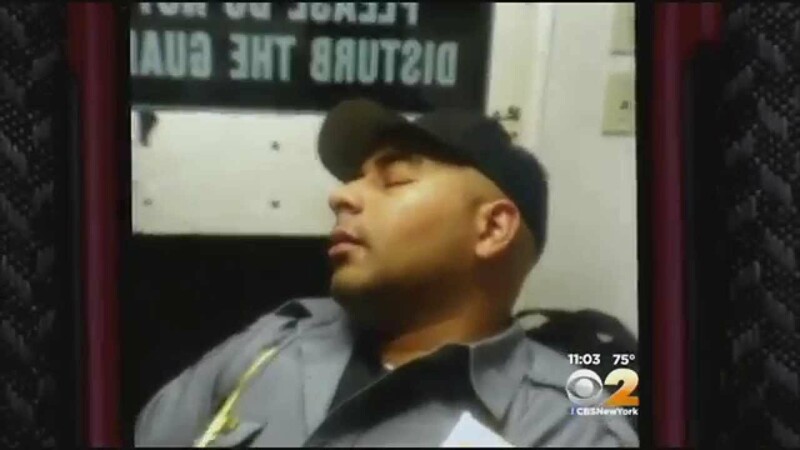 Rikers officer busted sleeping on job. 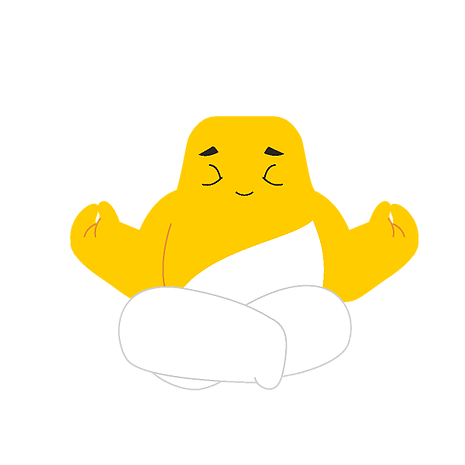 The frequency of sleeping while on duty that occurs varies depending on the time of day. Daytime employees are more likely to take short naps, while graveyard shift workers have a higher likelihood of sleeping for a large portion of their shift, sometimes intentionally. 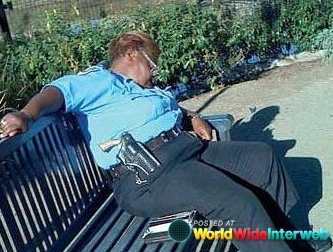 A survey by the National Sleep Foundation has found that 30% of participants have admitted to sleeping while on duty. 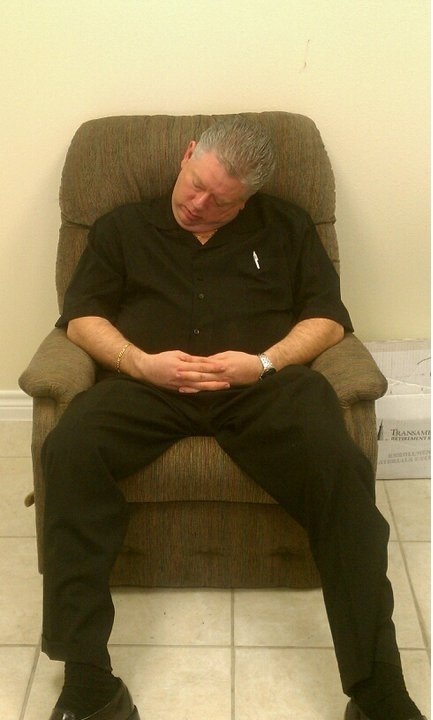 More than 90% of Americans have experienced a problem at work because of a poor night’s sleep. One in four admit to shirking duties on the job for the same reason, either calling in sick or napping during work hours. Apr 16, 2014 – New assignments, schedules may be needed for those with medical conditions that contribute to sleeping on the job. Wake up! 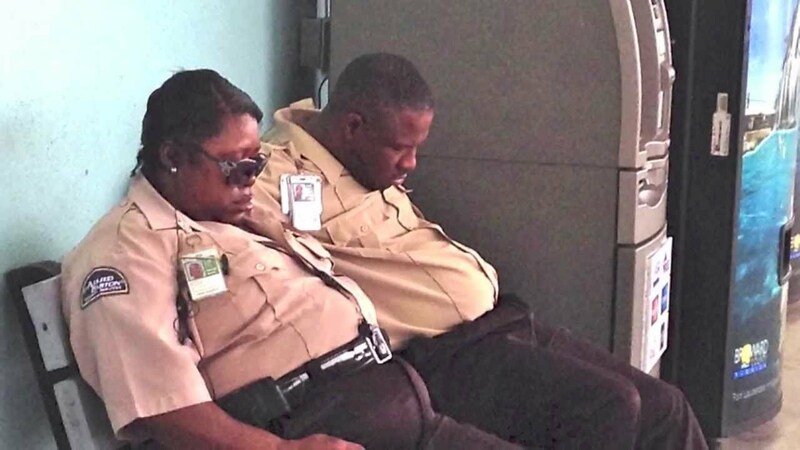 Photos, video show JFK Airport security guards dozing at key posts. 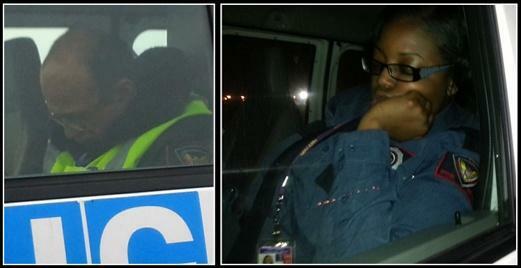 A guard identified as Suhas Harite (left) nods off in an official car at a post near Jamaica Bay, while a woman identified as guard Tiana Small (right) naps in another car on duty at JFK. December 1947 – a Washington, D.C. police officer was fined $75 for sleeping while on duty. October 2007 – a CBS news story revealed nearly a dozen security guards at a nuclear power plant who were videotaped sleeping while on duty. 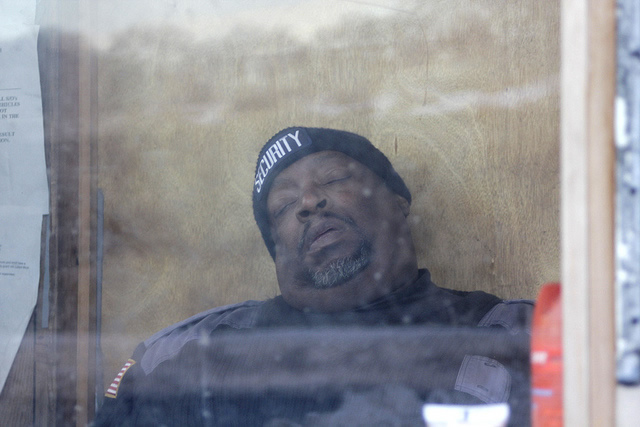 December 2009 – The New York Post published a photo of a prison guard sleeping next to an inmate at the Rikers Island penitentiary. 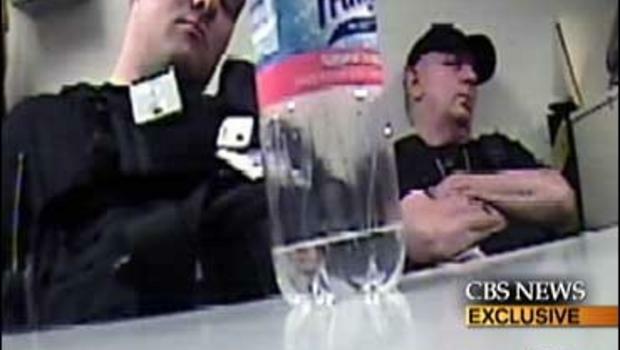 The photo was allegedly captured on the cell phone camera of another guard. 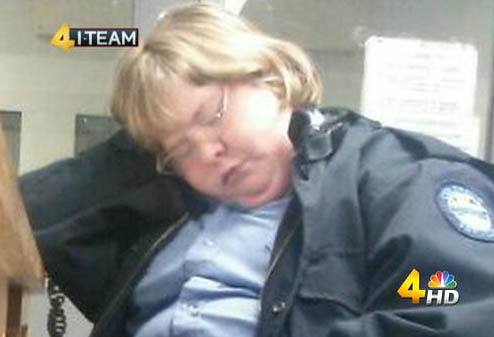 Both guards were disciplined for this action, the sleeping guard for sleeping and the guard who took the photo for violating a prison policy forbidding cell phones while on duty. The inmate was not identified. March 1987 – The Peach Bottom Nuclear Generating Station was ordered shut down by the Nuclear Regulatory Commission after four operators were found sleeping while on duty. 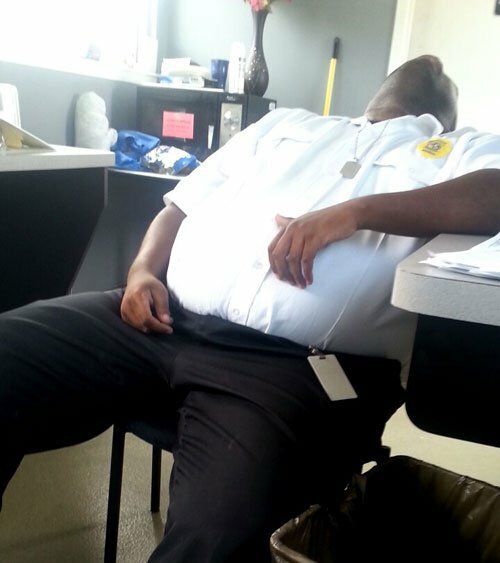 Federal Contract Guards of America FCGOA Guy James Caught Sleeping on The Job During a Security Guard Meeting.